Recently work began on construction of a new 200,000 square foot building for BJC at the corner of Boyle and Clayton Avenues, which is part of the CORTEX district Phase 2 expansion. Unlike the first phase of development at CORTEX, Phase 2 will include the rehabilitation of at least two historic structures using Historic Rehabilitation Tax Credits as well as new construction. 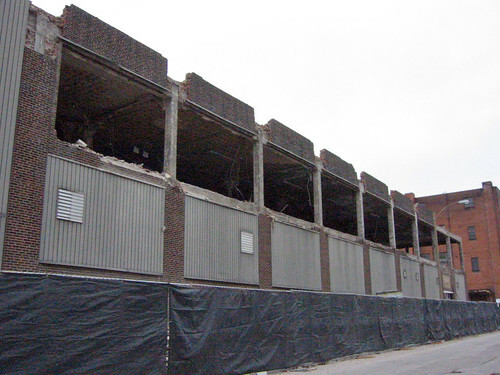 Part of Phase 1 development at CORTEX included the loss of the O. Morse Shoe Company, which was demolished six years ago this month to provide a site for construction of a new building for Solae, which was moving from the Downtown St. Louis campus of Ralston Purina (now Nestle Purina) after being spun off from Purina several years earlier. 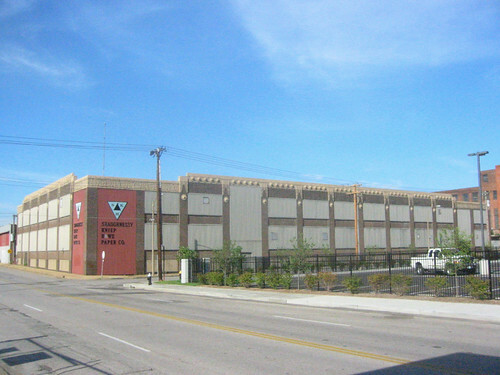 The building was located at the southwest corner of Duncan and Boyle Avenues. 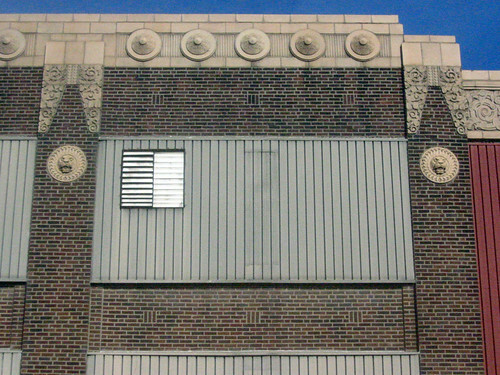 The significance of the 1924 structure was its unique Art Deco style terra cotta ornamentation. 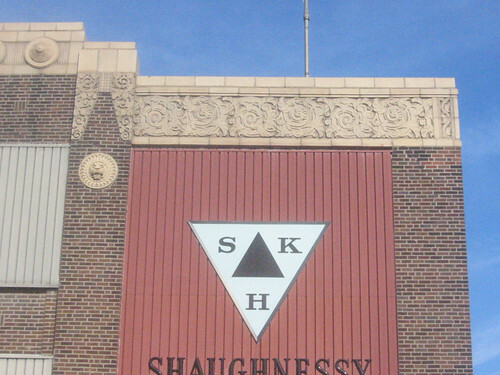 While Art Deco structures are not rare in St. Louis, although not plentiful either, the extensive use of such high-styled Art Deco ornamentation on a shoe company factory/warehouse building is very unusual. While the ornamentation is not purely Art Deco, it certainly anticipated the direction of style which would not fully emerge in America until later in the decade. This probably made the building more significant and certainly worthy of National Register nomination. 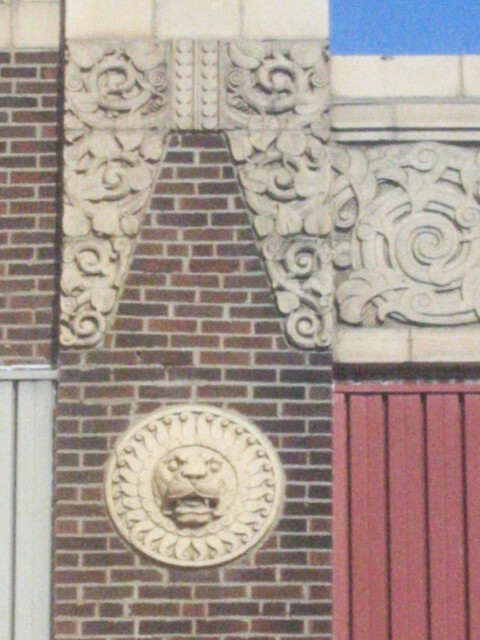 A close-up of the terra cotta ornamentation which made the O. Morse Shoe Company building stand out in an industrial district where mostly un-ornamented utilitarian buildings were the norm. 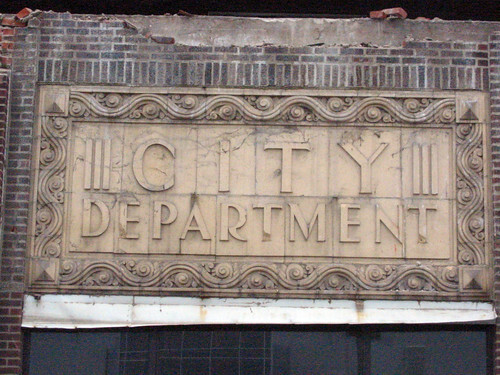 This terra cotta sign over the west building entrance on was hidden under the sheet metal siding that covered the buildings windows for many years. 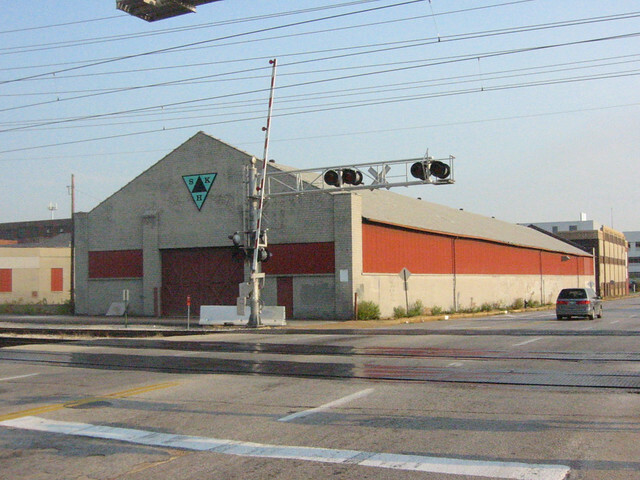 Behind the main building, backing up to what is now the MetroLink tracks, there was garage building that that was un-ornamented and more utilitarian in design. One can imagine though that even this structure was more attractive when the uninterrupted strip of thin sash steel windows was not covered with red siding. 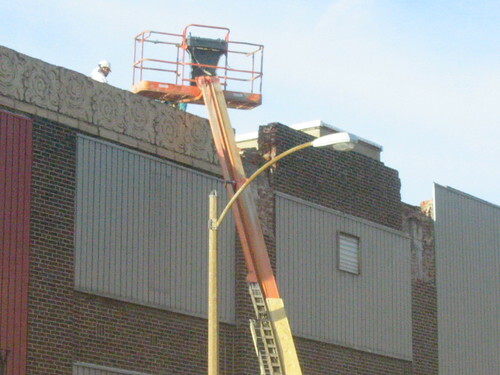 Before the buildings demolition, most of the terra cotta ornament was salvaged. While salvaging the ornament is obviously better than letting it go to waste, the reality is that the ornament will likely never grace the top of a building again. The best hope might result in its display in a museum, but a more likely outcome is that it was sold piece by piece or that it still sits palletized in storage and will for a long time. 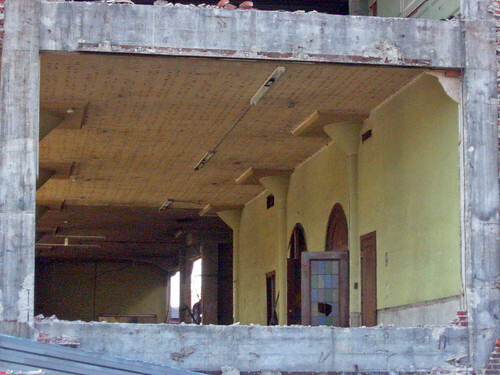 The building after being stripped of ornamentation just prior to demolition. The buildings structure was concrete frame with 2-way reinforced slabs and columns featuring "mushroom" capitols. 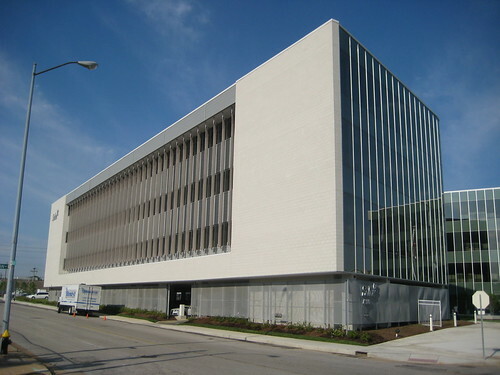 The structure was the same as that of the 198,000 square foot former Western Electric-Southwestern Bell Telephone Distribution House at 4250 Duncan, which will be re-branded as the Heritage Lab Building when the historic structure undergoes rehabilitation in the coming year. 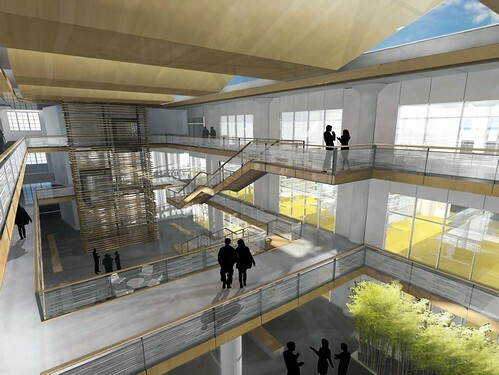 Below is a rendering of the atrium of the Heritage Lab Building. The Solae headquarters building which replaced the O. Morse Shoe Company is without a doubt a very attractive building. This is one of those rare occasions where a new building is comparable in quality and design to one that was demolished on the same site. Parking is partially hidden below the building, with the remainder in a small structure unobtrusively located at the rear of the site. 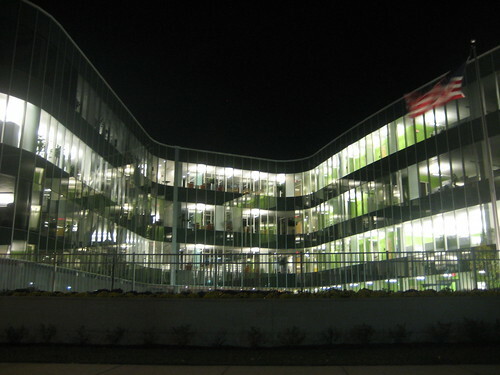 The architect was Cannon Design, which is known for award winning design in new construction and renovations such as their St. Louis office, which is located in a former power plant at 11th & Clark. More photos of the building can be seen here. 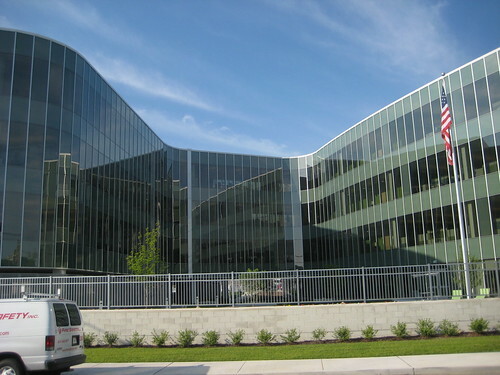 The curving glass curtain wall creates an interesting facade and an attractive courtyard along Duncan, although the tall fence and block wall (likely mandated by Solae) presents a Middle East embassy feel along the street. The glass facade is even more attractive at night... if only it had been built on one of the vacant parcels in the CORTEX district.